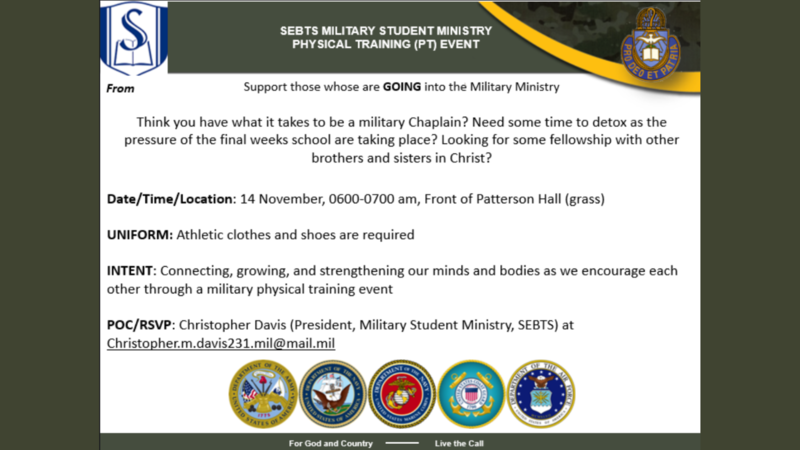 Think you have what it takes to be a military Chaplain? Need some time to detox as the pressure of the final weeks school are taking place? Looking for some fellowship with other brothers and sisters in Christ?